Qinghai is located in the northeastern part of the Qinghai-Tibetan Plateau in western China and was named after the Qinghai Lake, the largest inland salt-water lake in China. 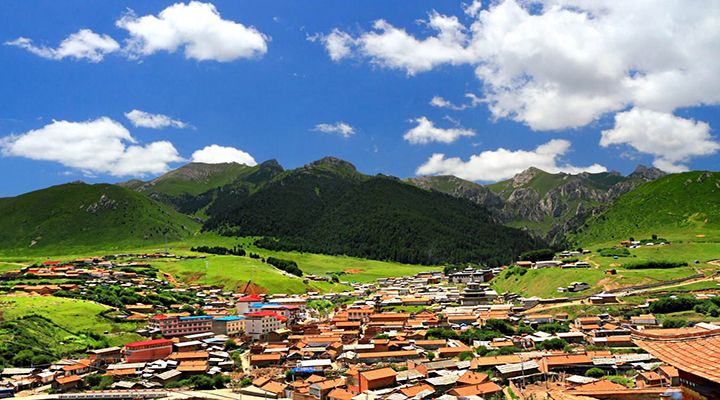 At an average level of 3,000m, it is the fourth largest province in China. Additional to spectacular natural sites, visitors are fascinated by the traditional culture and folk tradition of many different ethnic minority groups living in Qinghai. The Qinghai Lake with its salty vastness and the remote peace that it instills boasts contrasts from deep yellow oil seed rapes over the cold blue lake to the dark green distant mountains. At the westernmost part of the lake the most impressive sight is located, the Bird Island. For most of the summer rare species can be seen here in great multitude. 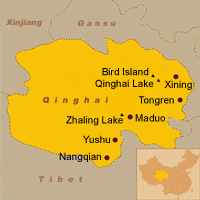 The southern part is strongly influenced by Tibetans. There are Buddhist monasteries, temples and Tibetan Buddhist schools and some of the best in Tibetan art can be found here, having evolved freely with minimal influence from both central government and Western commercialization.